For someone who claims to not be a breakfast person, I seem to be on a total breakfast kick at the moment. 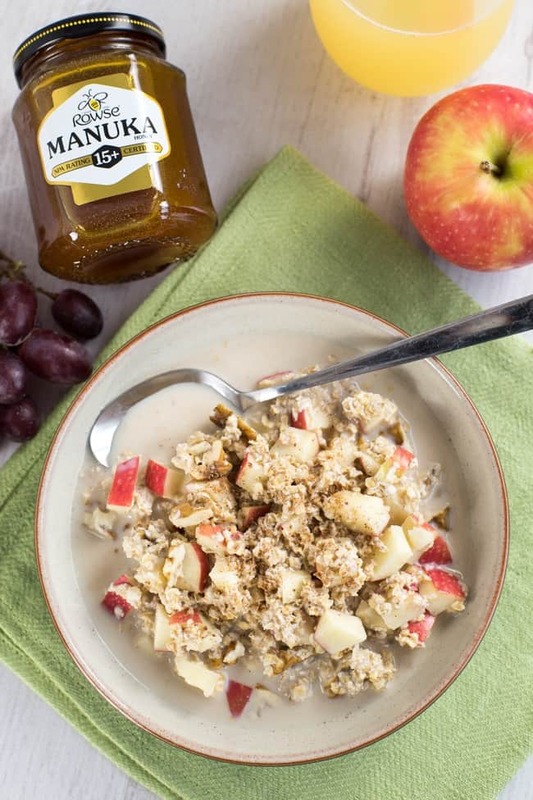 Superfood porridge, breakfast brûlée, and now, apple pie overnight oats! I don’t know what it is, I’ve just been really enjoying tucking into a hearty breakfast lately. Maybe it’s the cold weather – leaving my cosy bed seems so much more bearable when I know there’s a good breakfast waiting for me. 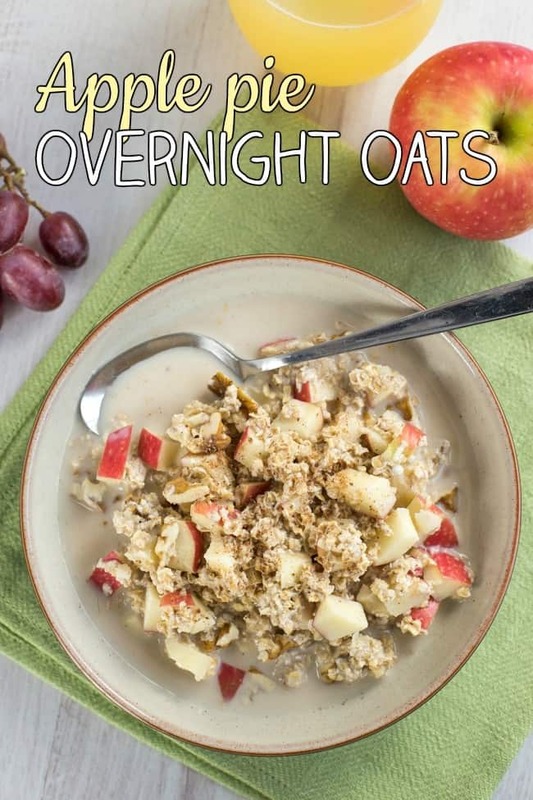 I’m sure you know what overnight oats are by now, but just in case you’ve been living under a rock, they’re basically oats that have been soaked overnight (funny, that) so they soften up and become nice and porridge-like without actually being cooked. 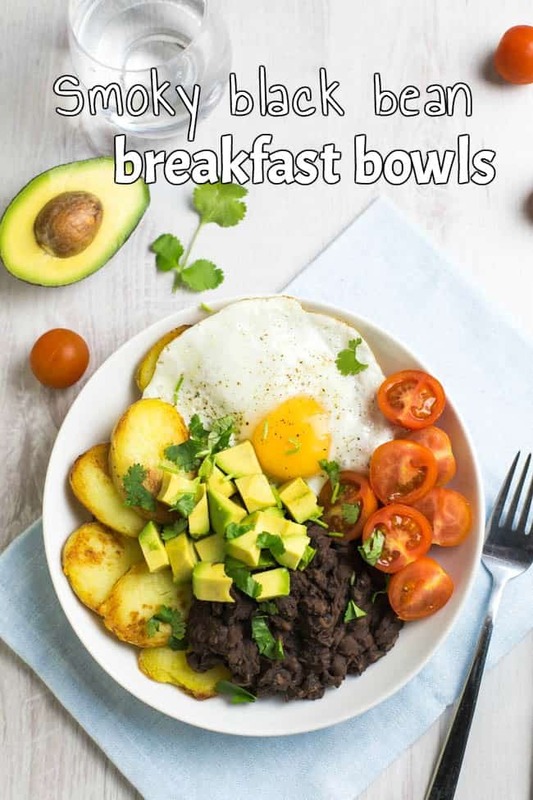 It sounds a bit weird, but it’s basically just a super quick way of making a grab-and-go breakfast, which you can flavour however you like. The fresh apple, walnuts, cinnamon and nutmeg in these apple pie overnight oats give a really dessert-like flavour, but it’s still a nice healthy breakfast. Win-win! 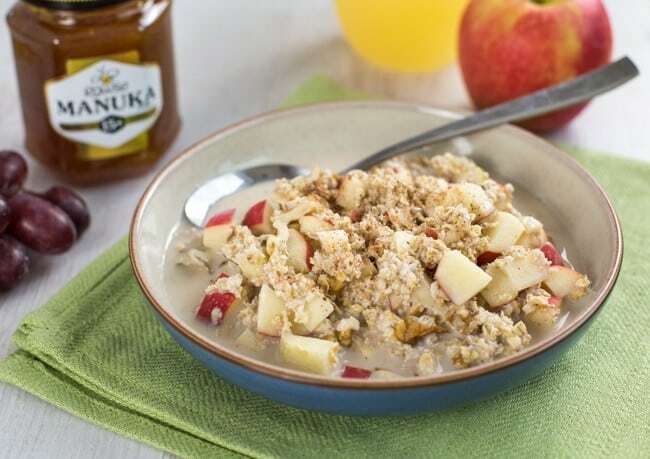 I also drizzled a bit of Rowse manuka honey into my oats to add a bit of sweetness. 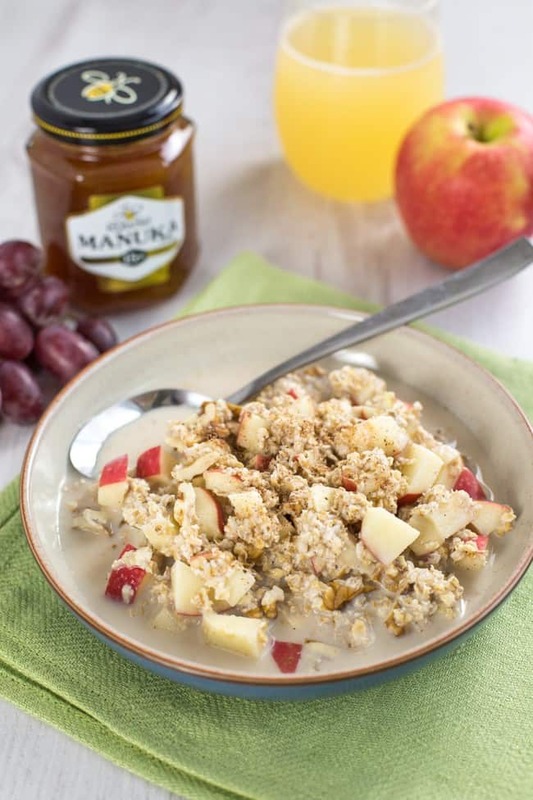 Have you ever tried manuka honey? It’s made in New Zealand by bees who feast on the nectar of the manuka tree, and it’s claimed to have antibacterial properties. I can kind of see why – it does have a slightly medicinal taste, though not in a bad way. It just made me feel like I was doing myself some good from the inside out (while still tucking into a bit bowlful of something yummy). Manuka honey does have a slightly stronger, more distinct flavour than regular honey, so it’s great to use in dishes where it can be the star – drizzle it over French toast, for example, or over some yogurt. Apparently some people try to pass off other products as manuka honey, but Rowse manuka is tested twice for its authenticity – once in New Zealand, and once on arrival in the UK – so you know it’s ‘real’. You can read more about the campaign for real manuka on the Rowse site, including a bit more of the science behind what makes manuka ‘real’. Add all of the ingredients to a large bowl, and mix thoroughly. Cover with a lid or cling film, and place in the fridge for at least 8 hours, or overnight. Serve straight from the fridge when you're ready to eat. Simple but delicious recipe, really need to try this! I’m making this tonight and am so excited for a new breakfast! Also — i love how you’ve been adding the nutritional info with recipes! Question: could this be served warm? Thanks Erin, always nice when someone appreciates the things I do haha – I never know whether people find the nutritional info useful or not! This could totally be served warm, though tbh it’d be just as good cooked like normal porridge – just throw everything in a pan and bubble it for a few minutes to cook the oats (you might need a bit more liquid this way). Or you can prepare it the night before like in the recipe, and then just microwave it in the morning if you’re short on time :) Enjoy! I *still* haven’t made overnight oats, I really really need to try. I love the apple pie flavours of this recipe, really look appealing. 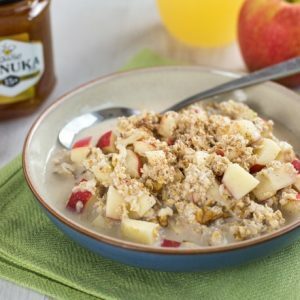 Lovely recipe – I really must get into overnight oats, they would make my life so much easier, and I adore the honey and apple combo. Overnight oats are the best aren’t they? So easy and no excuse for missing breakfast when you can prep it the night before. Absolutely – just got to make sure you remember the night before!